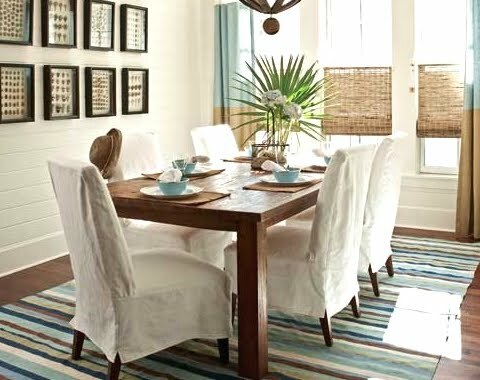 Tailored slipcovered furniture is a common choice when decorating coastal style. The look is crisp and fresh, and the style is easygoing. 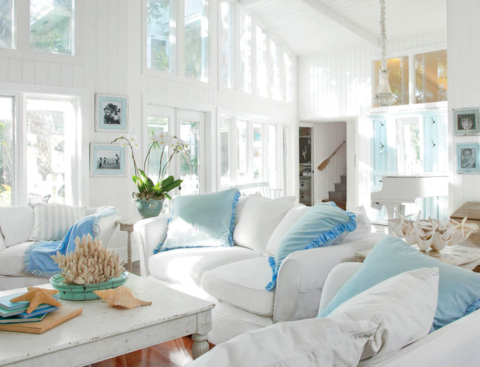 Durable white denim slipcovered sofas from Rachel Ashwell in a Casey Key Florida home, featured on Coastal Living. The owners wanted their home to be one thing: easygoing. White slipcovers can be thrown into the wash with a little bit of bleach, and they look as good as new. 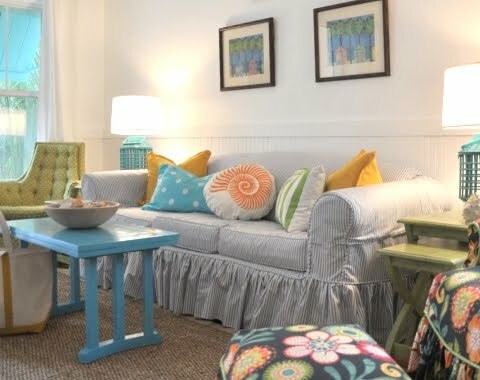 Create a new look with a slipcover. 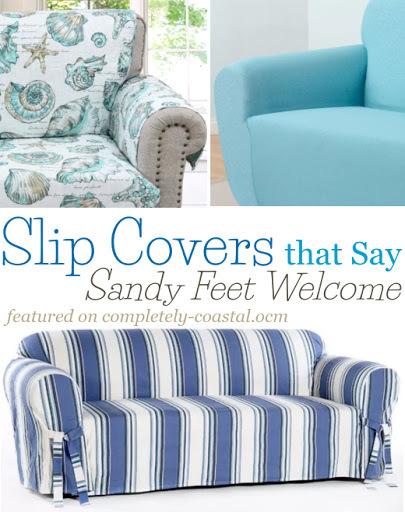 Great selection of all kinds of slipcovers for sofas, chairs & more. The look of these slipcovered sofas is soft with its rounded arms. 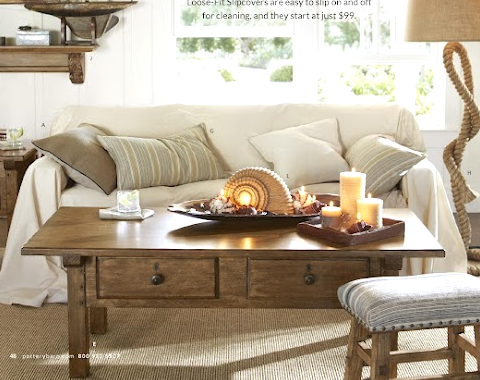 Pottery Barn's Loose Fit Slipcovers. 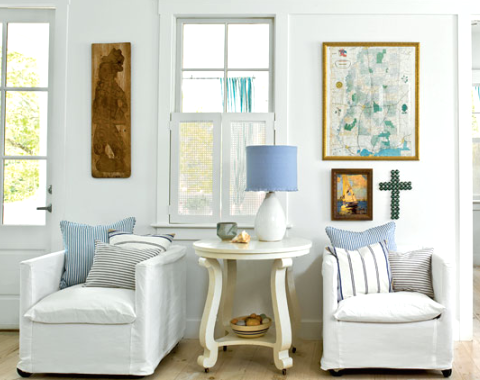 Easy and casual coastal living with slipcovers via Country Living. A slipcovered Sofa in one of Jane Coslick's cottages. Slip covered chairs in an entryway. Via My Home Ideas. 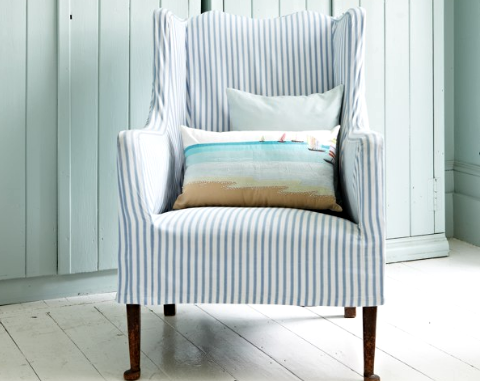 And a slipcovered chair with a summer feeling, photographed by Russel Sadur. Slipcovered dining room chairs, seen at Traditional Home. 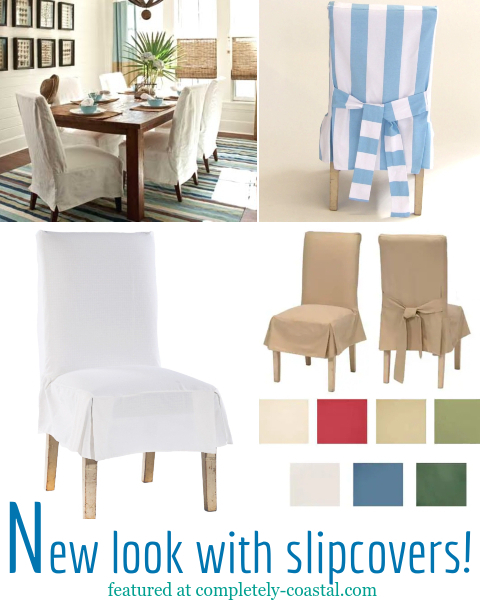 You could renew old chairs with slipcovers. And to make it wallet friendly, use canvas drop cloth. Buy furniture that's slipcovered or renew furniture with slipcovers. To renew furniture, you can buy slipcovers (loose fit or slipcovers that stretch to fit your furniture shape), or you can have slipcovers made or make your own slipcovers. To learn how to make slipcovers, start you search on youtube.